Jack's parents have been chased out of Tokyo, gone broke in Greece, and hosted Nairobi's least successful safari. Next they're taking Jack on a Caribbean vacation—whether Jack wants to go or not. The Berensons are about to start a snorkeling business. It's their latest get-rich-quick scheme. With these experienced world travelers at the helm, what could go wrong? Jack's used to staying indoors and not taking chances. When his parents take him out on the water, he ends up shipwrecked. 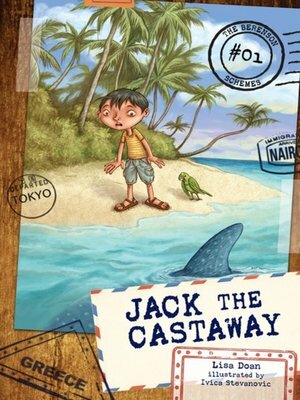 Now Jack has to survive on a tropical island...and avoid a whale shark that's swimming near the beach.